His life now is any dog’s dream. 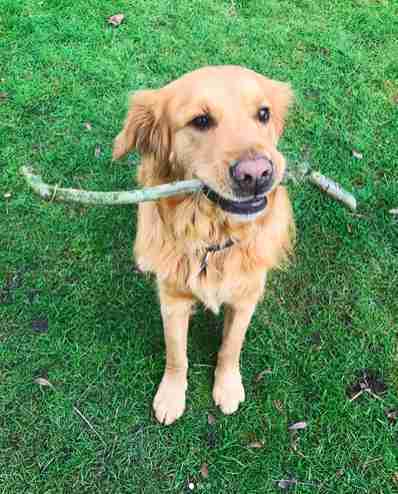 Every day, Clover the golden retriever explores the rolling countrysides of England, plays with all the toys he wants and snuggles into a warm, cozy bed with his mom at night. 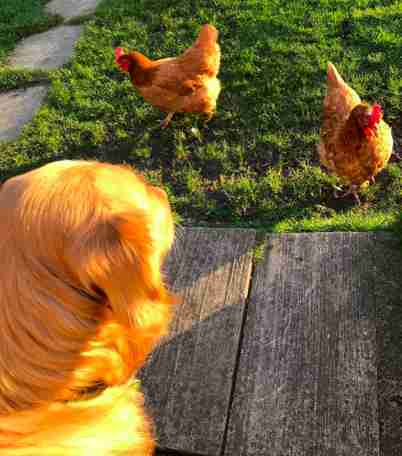 His best friends are chickens, and he loves playing with other dogs, too. He has a zest for life — but he almost never got to experience any of it. 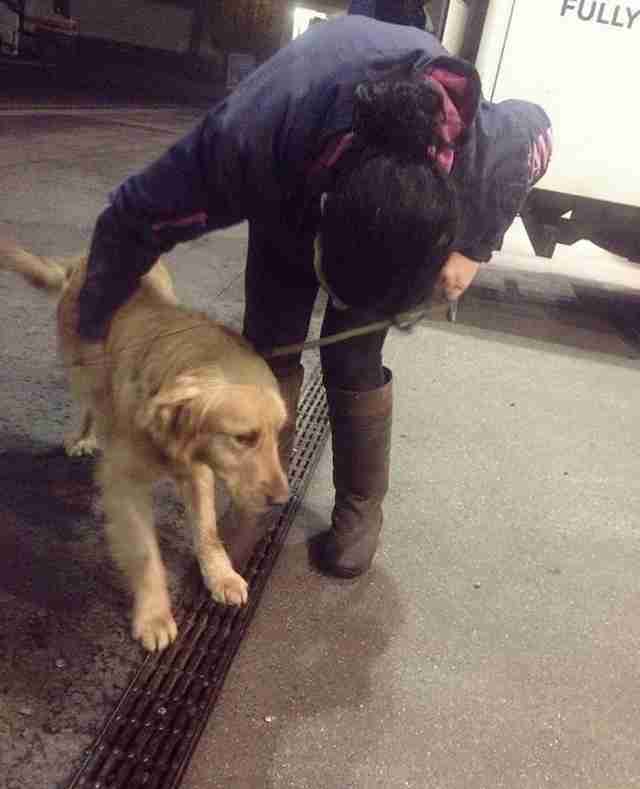 A little over a year ago, Clover lived on a dog meat farm in China that was raising him to be slaughtered for food. He spent his days inside a small cage with little food or water. He and his other pen mates often had no choice but to eat the decaying remains of dogs who had died from the horrible conditions. No one knows whether he was born on the farm, or if he had been someone’s pet who was stolen — which is common in China’s dog trade. 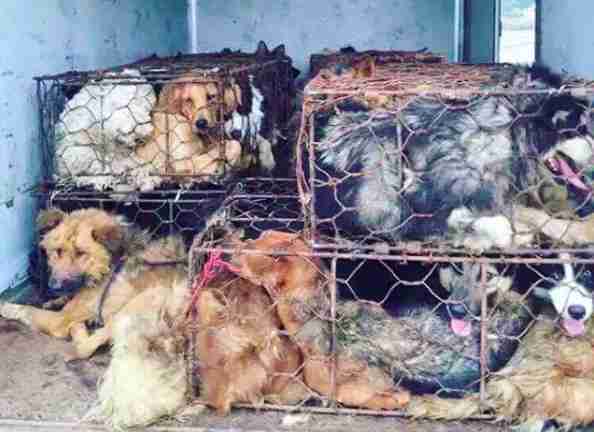 Animals Asia estimates that an average of 10 million dogs are slaughtered for food each year in China. Many of them are forced to watch other dogs be bludgeoned to death or thrown alive into boiling water for sale at a market or restaurant — which is legal in the country. 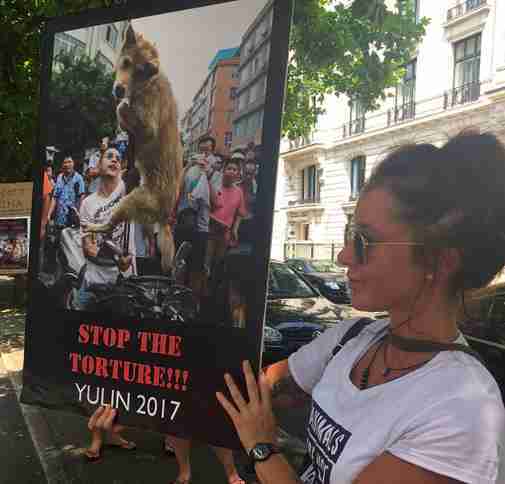 The country’s most infamous instance is the Yulin Dog Meat Festival, which celebrates dog meat each June. By the time he was a year old, Clover was starving and sick. There was no light in his eyes, and it was only a matter of time before he would be killed at a slaughterhouse in Changchun, China, one of the country’s largest hubs for dog meat. He was stuffed into a tiny metal crate and transported there. But in July 2016, that all changed. A group of Buddhist monks, who often negotiate with dog meat traders at markets to surrender the dogs to them, had been given ownership of Clover and some other dogs. 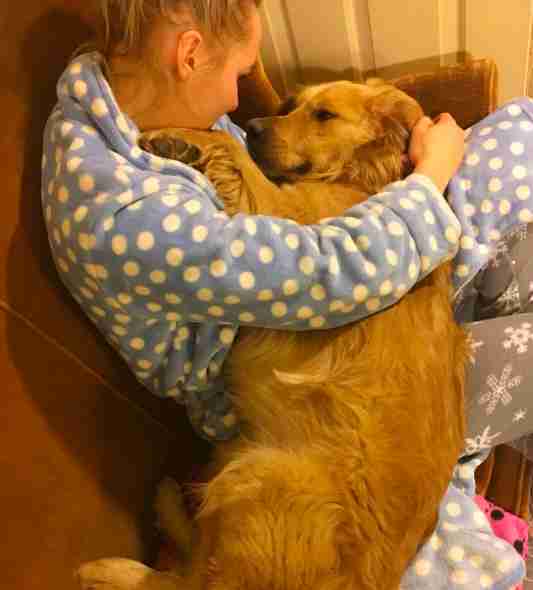 Soon after, a Chinese activist affiliated with UK’s Rushton Dog Rescue arranged veterinary care so Clover could be treated for his long list of ailments. The group had just begun their "Darkness to Light" initiative to rescue dogs within the Asian meat trade — and Clover was their first mission. 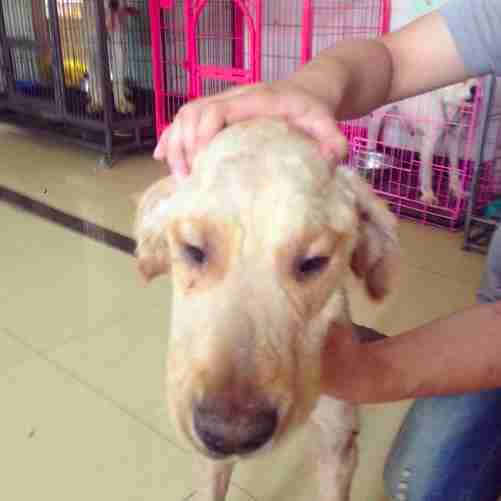 Over the next few months, Clover slowly recovered from starvation, pneumonia, mange and canine distemper. 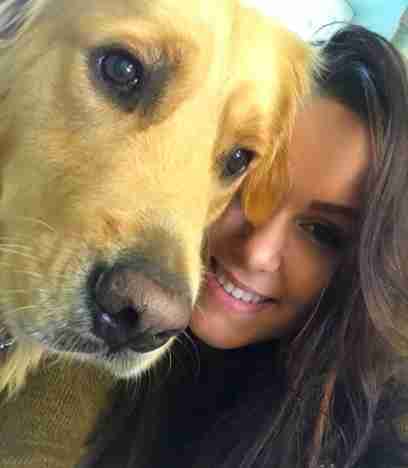 Skye Wardle, of Gloucester, England, saw posts about him on the rescue’s page and instantly fell in love. They hadn’t even met him yet, but it already felt like he was a part of the family. Just in time for Christmas in 2016, the Wardles welcomed Clover home — with a stocking completely stuffed full of toys to celebrate the occasion. Clover’s playful and sweet demeanor is evident in everything he does, from hanging out with the family’s chickens to snuggling at night. Despite what he endured at the farm, he has nothing but love for everyone. 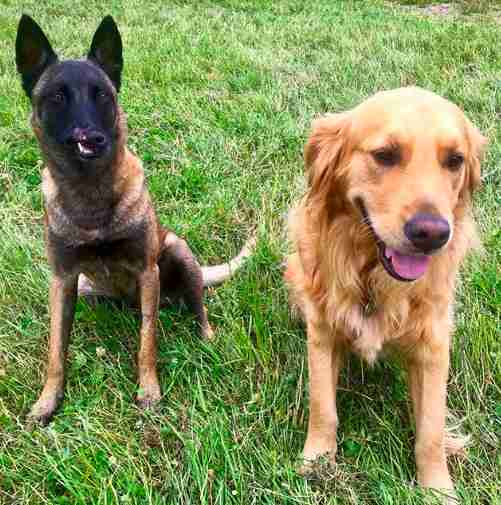 Through social media, Wardle has connected with the owners of other dog trade survivors like Clover — including Angel, a Belgian Malinois who was rescued from the same slaughterhouse. Now celebrating Clover’s first adoption anniversary, Wardle spends a lot of her time educating people about the industry and attending protests for reform at the Chinese embassy in England. Those words might seem intimidating at first — but once people see his smile, they instantly want to help. To keep up with Clover's adventures, you can follow him on Instagram. 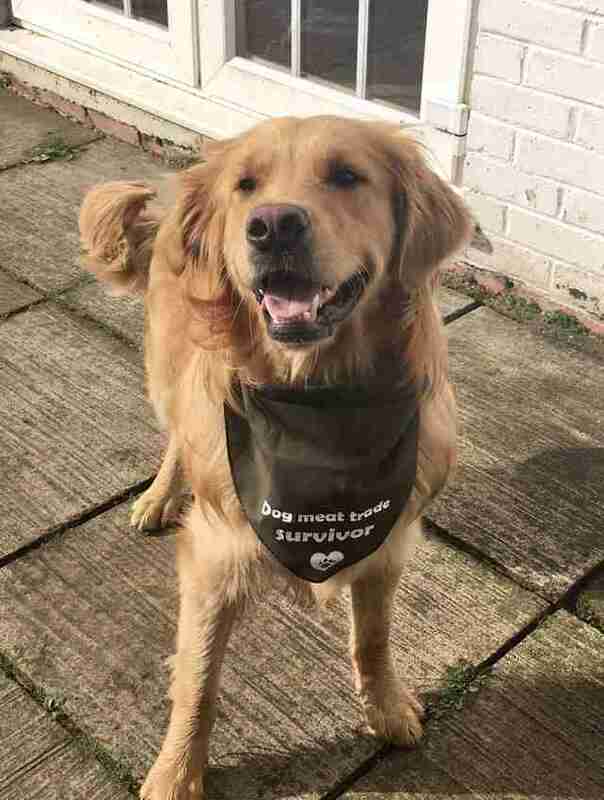 To help save more dogs like Clover from the dog meat trade, you can make a donation to Rushton Dog Rescue. You can also browse the group’s list of adoptable dogs.